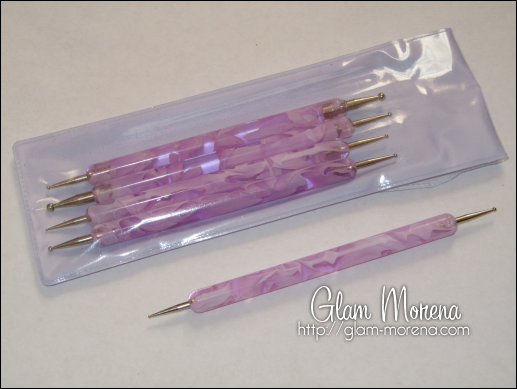 Glam Morena: Review: Born Pretty Store. u I was recently contacted by Born Pretty Store about reviewing some of the products available on their website. I picked out a few items and everything came out to a total amount of up to $20. Amazing deal! So you can clearly see how much you're able to purchase from the website with just a little amount of money. My thoughts: I finally got a nail art dotting tool. This set comes with 5 different tools that also have two different ends. This tool is mostly used for creating marbleized nails. I personally have used it for creating polka dots on my nails. My thoughts: You can get 10 pairs of lashes for under $5! The style on the website is stated as natural. I find that they are natural but slightly dramatic as well. 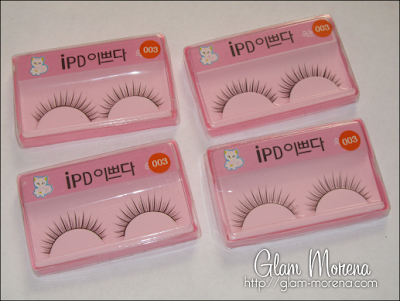 I love, love, love these lashes! You can find a photo of me wearing this style by clicking here. 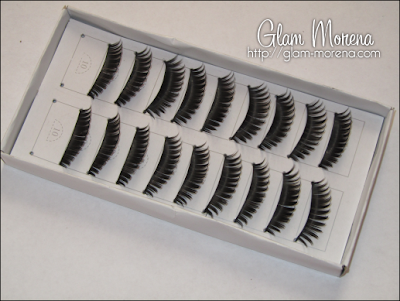 While they are not human hair they feel completely natural on the eye. The only tiny complaint I have is that dramatic lashes tend to be more heavy around the eye. My thoughts: I've been a fan of the 3D nails for a while but I've personally never tried them. This style features the 3D flowers on a few nails. I fell in love with these because they include my favorite colors, black and pink. They are medium length and fit my nails perfectly. That means I don't have to shorten my nails as much as I usually do with wearing nails which is a plus. My thoughts: I loved the idea of getting 5 pair of lashes for under $5. The style number is 003 and is a great style for everyday wear. I must say that I found the band really stiff and had trouble bending them. These are not human hair. Overall I would suggest this site if you see anything you like or interested in buying. A major plus is that the prices are extremely inexpensive. The only major downside I could find is that shipping takes a while. My package took over two weeks to arrive. But this is also expected because this is standard shipping arrival time when it comes to International packages. To read more about shipping go here. Free Worldwide Shipping with no minimum order!